Kind. Thoughtful. Heartfelt. Spread a little joy with a bespoke greeting card. Whether it’s for a special Christmas message, or just a nice way to say ‘thank you’, a bespoke greeting card is the perfect way to leave a lasting impression on your customers. After all, they’re more meaningful than an email, and can be cherished long after they’re sent. 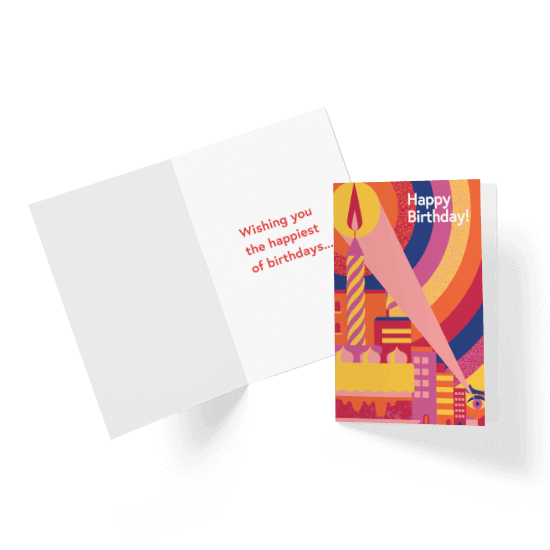 No matter the occasion, our greeting cards are printed with care and consideration, on a range of paper sizes, weights, and types. And with a number of finishes available, you’re bound to find a style that suits. Spot colour inks offer consistency across different print materials, making them ideal for branding. You’ll also enjoy a wider selection of colours to choose from than the CMYK method. We have two options for spot colour ink printing: coated (C) or uncoated (U). These take into consideration the different properties of coated and uncoated paper, making sure a consistent colour is achieved across a range of products and paper types. Learn more about spot colour inks here.